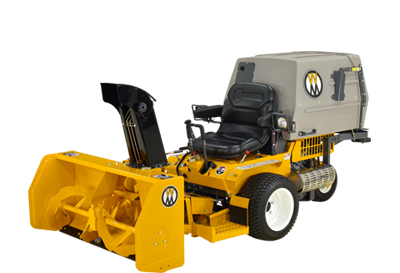 Dethatching a lawn in early spring with the Walker A10 Dethatcher attachment ensures the thatch layer is not becoming too thick. 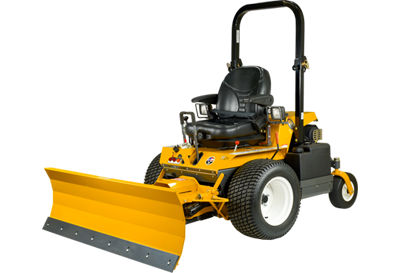 Mounting directly to your Walker gear-driven deck, the A10 Dethatcher uses 24 spring-loaded tines to quickly break heavy thatch loose from the turf. 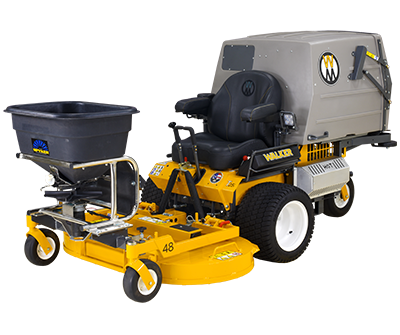 Paired with the Walker Grass Handling System™, thatch, lawn debris, and clippings are vacuumed from the lawn leaving a clean look in a single pass. The first cutting of the season is a critical one. 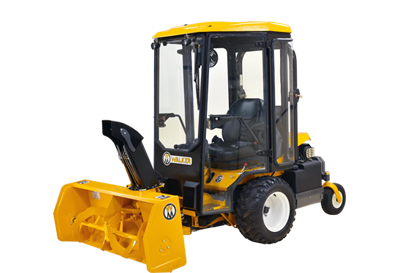 Leaves, debris and other items left behind from the winter season can inhibit growth. 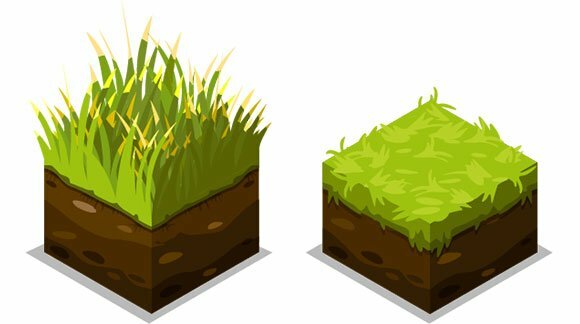 Additionally, the top layer of dead grass may hold potential fungal or mold problems. 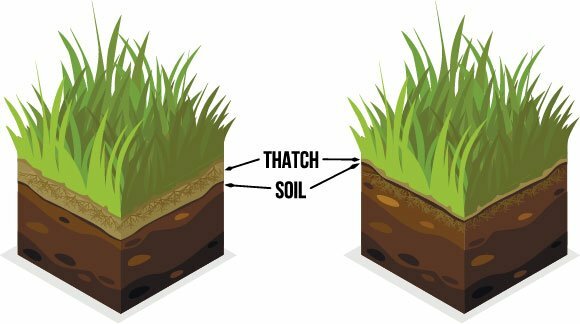 Removing the debris and top layer of grass is important for ensuring healthy lawn growth. 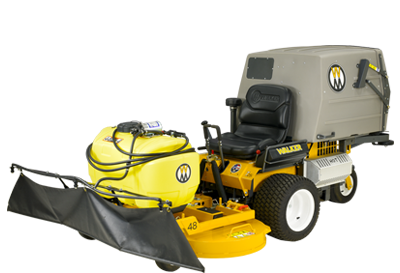 Using the Walker Mower to collect leaves, debris, and winter kill with the exclusive Grass Handling System™ vacuum action ensures lawns get off to a healthy start. 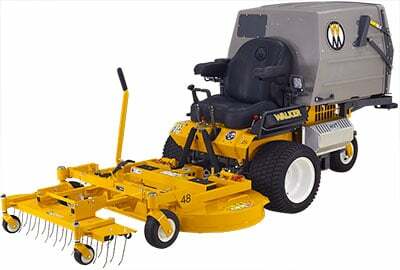 For the first cutting of the season, lower your Walker Mower's cutting deck to help remove the top layer of dead grass. Even the best-looking lawns can benefit from a robust feeding and nutrient program that begins in the spring. 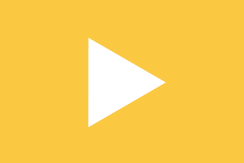 Fertilizing not only can boost a lawn’s health, color, and thickness, but also its natural defenses against environmental stresses, weeds and pests. 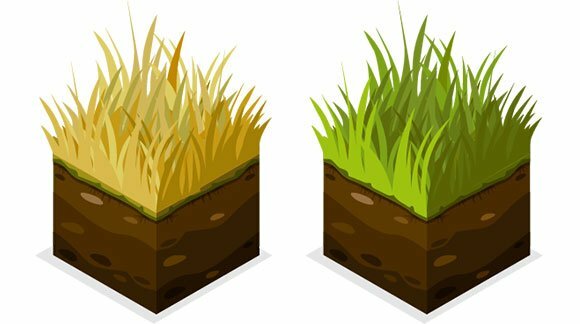 Depending on location, grass type, soil PH, and watering strategy, there is a fertilizer or soil amendment suited for any lawn. 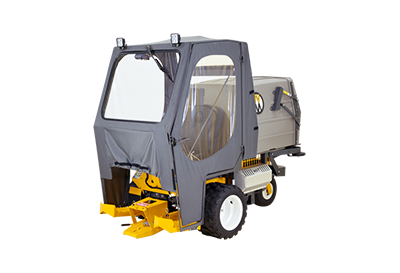 Once a fertilizer program has been chosen, the Spyker Pro-Series Spreader attachment makes application fast and easy. 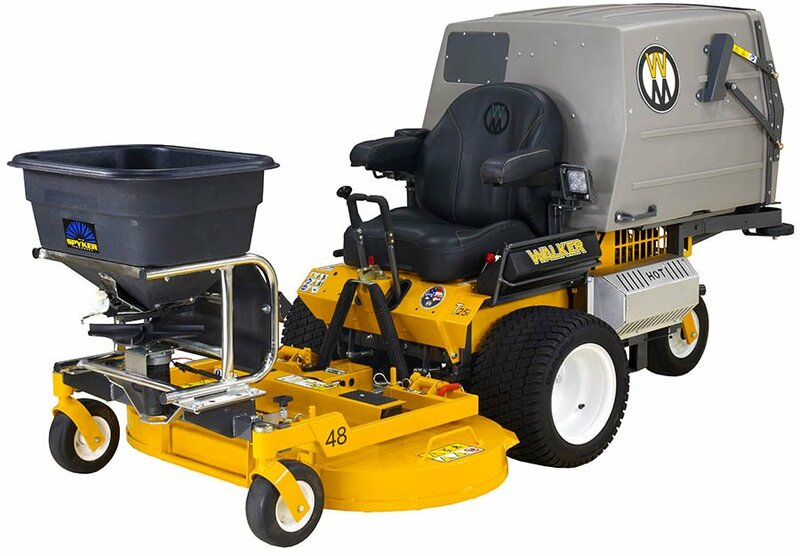 For commercial operations or larger lawns where hand or push spreaders are not ideal, the Walker Mower paired with the Spyker Pro-Series Spreader is the perfect solution for quickly and evenly spreading solid fertilizer or soil amendments. 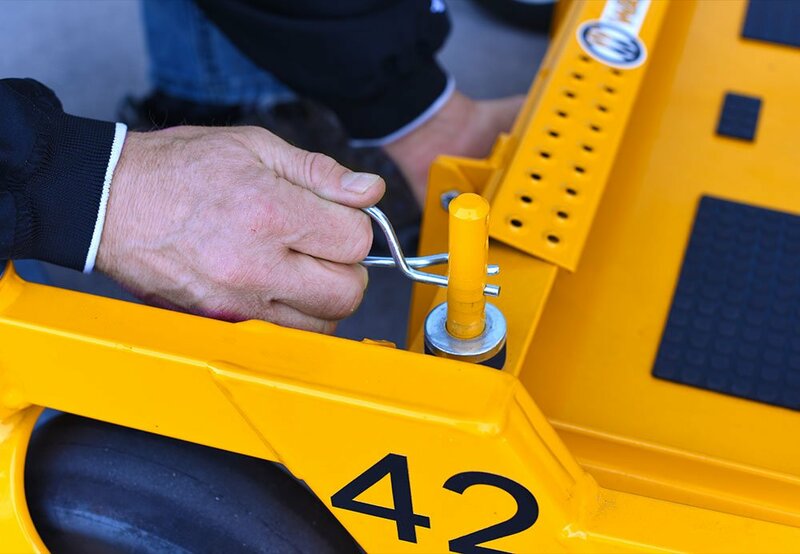 This easy-to-mount attachment goes on and off the Walker deck carrier frame in minutes, and spreader controls are located within arm’s reach for precise operation. Maintaining a healthy property free of crabgrass, dandelions, and other troublesome weeds requires a head start, and spring is the ideal season to get out in front of weed infestations. 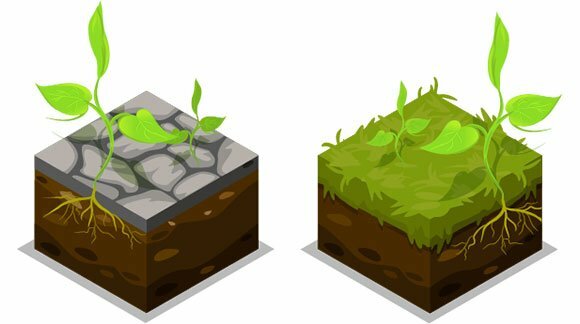 Most weeds begin germinating when soil temperatures approach 55°F or 12°C. Applying a pre-emergent herbicide in the early spring will help eliminate weed growth in lawns and beds. 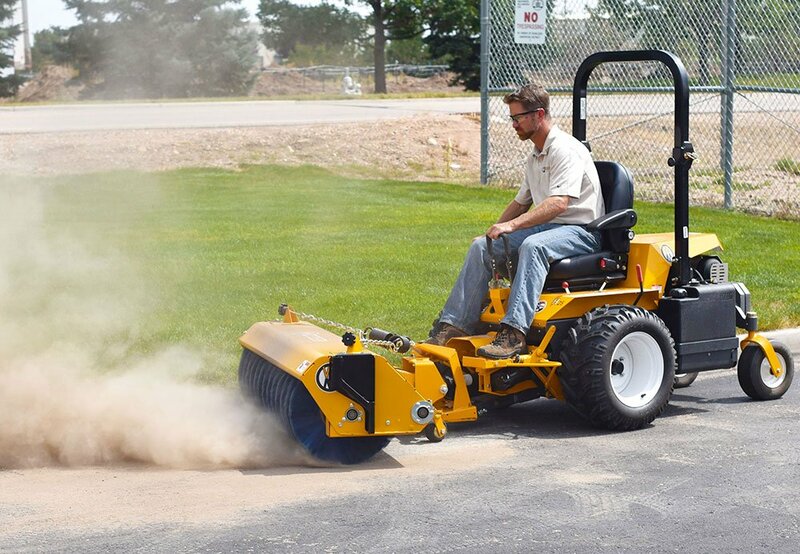 A spray-gun with a 20-foot hose allows the operator to leave the mower and treat all landscape features. The spray tip adjusts to offer output varying from a mist to a 35-foot stream. 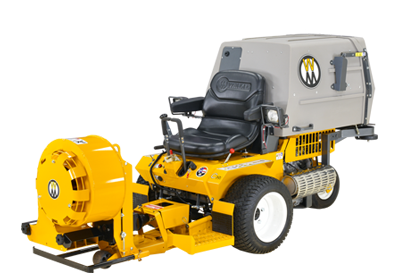 The large 25-gallon tank will treat most situations and the large opening and 12-volt SHURflo pump makes cleaning of the tank and spray system easy. 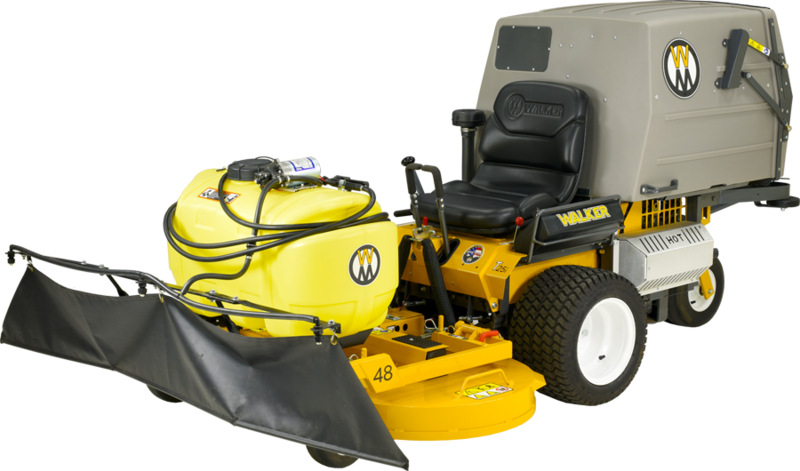 Keeping a healthy lawn free of troublesome weeds is made easy with the Walker Boom Sprayer attachment. 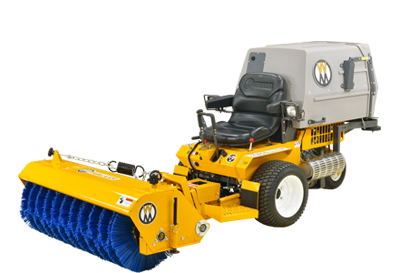 The Walker Boom Sprayer mounts to most Walker decks and offers up to an eight-foot spray pattern, allowing operators to apply liquid herbicides or other treatments in an efficient manner. Just after treating a lawn with pre-emergent herbicides is the ideal time for overseeding to ensure the lawn is free of thin or bare spots. 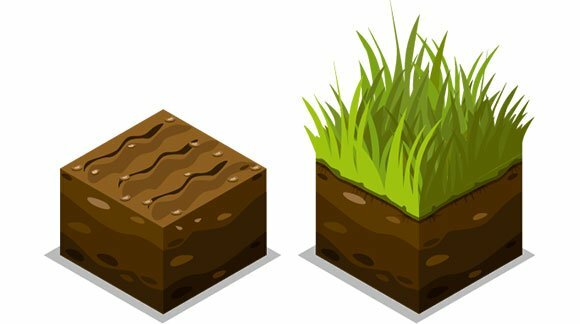 Like weeds, grass seed germination is most active when the soil is neither frozen nor excessively hot, making spring and fall the ideal times to spread grass seed. 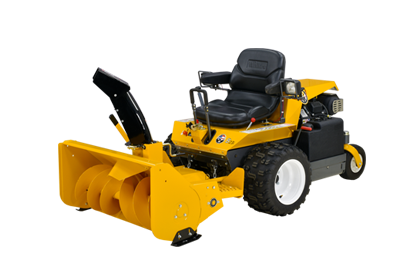 The Spyker Pro-Series Spreader attached to the Walker Mower makes seeding easy. For all types of overseeding work, the Walker Mower with the attached Spyker Pro-Series Spreader will ensure seed is spread evenly and quickly. 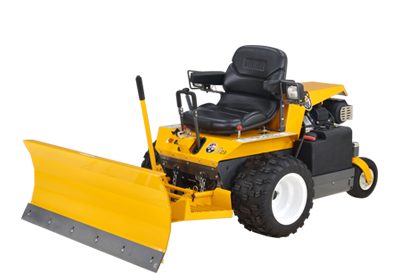 With fine-tuned settings for gate control and broadcast speed, the Spyker Pro-Series Spreader can adjust to fit any application on any lawn, helping grass stay thick and full through all growing seasons. Springtime lawn work is busy and varied. 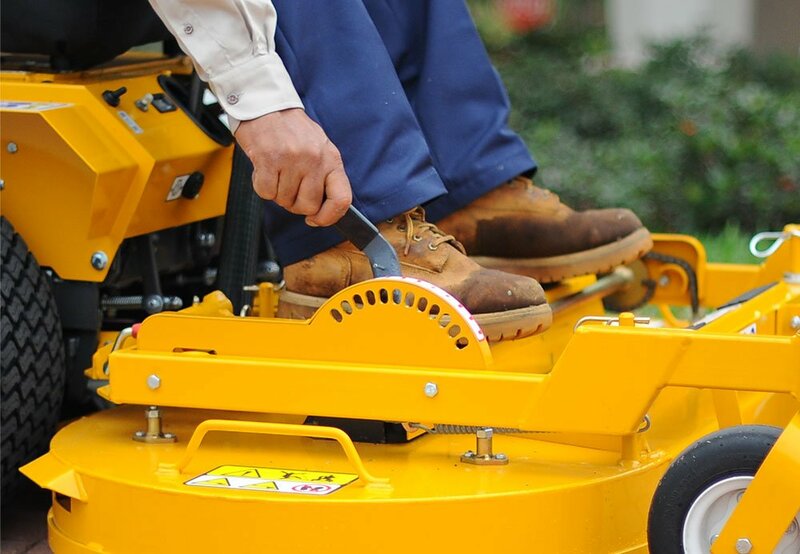 With so many tasks, having a mower that can assist in many of these utility jobs is important. 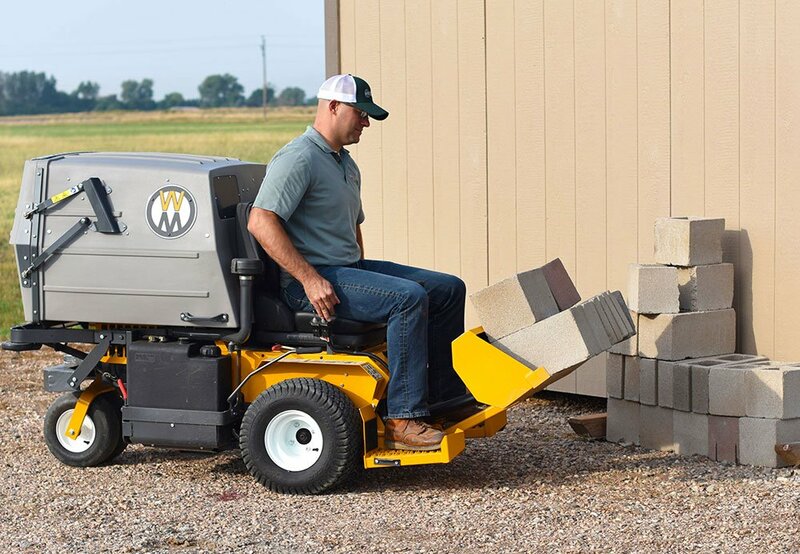 The Walker Mower is the versatile choice. 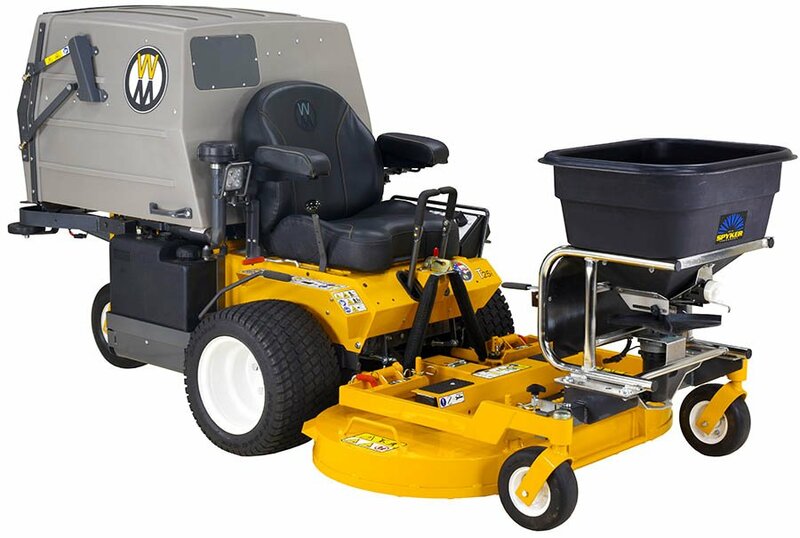 Whether cleaning hard surfaces with the Walker Rotary Broom or Debris Blower, transporting mulch, plants, or other planting materials with the Walker Loader Bucket or Utility Bed, or performing any pre-season lawn care like dethatching, spreading or spraying, the Walker Mower is the ideal springtime utility lawn mower. 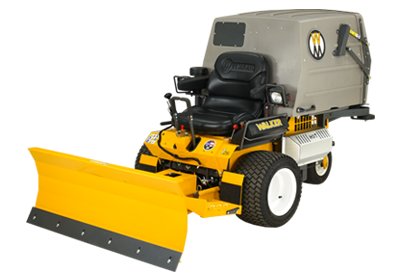 If you are a homeowner caring for your gardens and lawn, or a commercial operator caring for your clients’ properties, the Walker Mower will help you stay productive and efficient in any season of the year.